The most frequent question I receive from my audience is how do I buy cryptocurrencies? With the emerging popularity of bitcoin, more people are deciding to invest in cryptocurrencies like Ripple and Stellar Lumens. The landscape of cryptocurrencies is constantly changing After guiding people through the process via WhatsApp messages and emails, but you can get all the latest ripple news from btcnn online, making it easier to judge whether it’s a good time to invest in cryptocurrency. I thought it was time to write a guide. Purchasing Bitcoin, Ethereum and Litecoin (LTC) is incredibly easy on Coinbase. 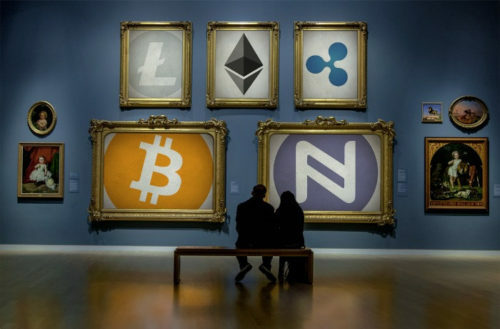 But many people are becoming interested in buying altcoins such as Stellar Lumens (XLM) or (Ripple XRP). In this guide, I will show you how to create a Coinbase account to easily buy coins on the platform. But equally, I will show you how to register on another exchange called Binance so that you can branch out and buy other altcoins. Simply follow the step by step guide below and contact me directly if you are unsure of anything. 1. First of all, go to Coinbase and enter your email on the box in the middle of the page and click on the “Get Started” button. You will now be directed to the “Sign Up” page. Click the “Create Account” button at the bottom of the page. In this case, you will be directed to a confirmation page upon submission. 2. Check your email where a verification link is sent. Simply click “Verify Email Address”. Note: Check your junk folder if you do not receive any emails from Coinbase. Choose your country and enter your local phone number. Then, Click “Next” and select a payment method. You can either add your bank account, debit card or credit to purchase and sell any digital currency with your local currency e.g. you can buy bitcoin using the US dollar. Remember that personal identification is required for confirming any of these payment methods. Three modes of identity verification are allowed in Coinbase. After selecting one mode for verifying payment method, you have to select the preferred method of uploading identification documents. You can select either Webcam or mobile camera. If you choose a mobile camera for uploading documents, a link will be sent to the phone number specified earlier via message. Once you will open this link, it would look like the following screenshot. You have to tap in both to take the photo of the front and back of your ID. After uploading documents, you will be directed to this page. After pressing “continue”, you will be directed to a page where you may enter the details of your preferred payment method. Note: Coinbase only accept Visa and MasterCard and will charge 3.75% for convenience fees. You can start the charge verification process where two small charges will be made to the bank account under “pending transaction” and these charges can be found from online bank statements. You need to have the last two digits of these charges. You just need to enter the last 2 digits of each charge, and then click on the “Verify Charge Numbers” bottom. You have now completed the Coinbase account set up processes. Now you can buy and sell Bitcoin, Litecoin, Ethereum or other digital currencies. Coinbase is very attractive to new investors as buying and selling these 3 cryptocurrencies are fairly self-explanatory. I would advise that everyone starts here and fully understands how the exchange works before expanding their search to other altcoins on alternative exchanges. One of the most important aspects of entering the world of cryptocurrencies is security. Most guides will tell you how to buy, but not how to secure your access to these exchanges. Remember the golden rule from the Spiderman movies, with great power, comes great responsibility. If you remember one thing from this guide, please promise me that you will offer an additional layer of protection by enabling 2-factor authentication. Before buying any coins, I want you to secure your account. 1. Download Google Authenticator application from the Android or iOS store. Now, install it on your phone which will generate 2-step verification codes. 2. Log into your Coinbase account using your specified email, password and 2-factor authentication method. Then you need to enter the 2-step verification code from your registered Google Authenticator app. Open previously installed Google authenticator app on your device and scan the QR code displayed on your Coinbase account. Google Authenticator app will generate a code which needs to be entered for completing set up. Once you will do then click “Enable” and Google authenticator will now be linked to your Coinbase account. Choose your desired wallet you would like to have your funds deposited into. Then select “buy” to confirm the order is correct. Only when you are completely comfortable with how Coinbase works should you consider venturing onto other exchanges and purchasing altcoins such as Ripple, Stellar, IOTA and NEO. Coinbase offers you an introduction into cryptos, but to buy anything outside of the chosen few, you will have to register for another exchange and understand how to send BTC or ETH from Coinbase to an exchange that offers you over a hundred other cryptocurrencies. I recommend Binance as your natural next step. But, once again, please ensure you do your research and follow this guide very closely. Please also be extra vigilant against any potential phishing attempts on the web or email that will try to trick you into sharing your login details. 2. Enter your “Email” and “Password”. If you have any referral ID then you can include it. 3. Binance will be directed to you this page. You need to verify your email address. So, check your email address that you provided. 4. Click on “Verify Email”. And your email verification process will be completed. 5. You will be directed to this page. Simply click on “Submit Verification Documents” in the top right corner. 6. If you are not from China then click on “International” and fill in your First and last name, gender, country of residence and your passport number/ID. 7. Now you have to upload a picture of the cover of your passport. 8. Also, upload a picture of the information page of your passport. 9. Then you have to upload a nice selfie of holding your passport where you have to show the info page and holding a little note with the date and the word Binance written on it. And finally, you have done! Your account will look like this and remember that it can take few days once your account is verified. So check it once you log back after some days. Once you logged in you will see 2fa on the main screen and enable “Google Auth”. 2. You will be directed to this page and it is important to save the 2FA Backup key in a safe place. This key is important because if your phone crashes or you lose it, you can add the key to a new device easily and will save lots of problems. Now open your Google Authenticator application that is already installed on your phone. Press the + button and either scan the QR code or fill in the backup key just like your Coinbase account. 3. Get the 6 digit code from Google Authenticator Application. Enter the code and click on “Submit” button. First of all, log in to your Binance account. Place your hover over funds and you have to click on “Deposits Withdrawals”. 2. You will be directed to a page where you will see many rows of cryptocurrencies. You need to find out the Bitcoin row and have to click on the corresponding “Deposit” button. And now copy the “BTC Deposit Address”. 3. Log in to your Coinbase account and click “Send” under your Bitcoin wallet. 4. Now paste your “BTC Deposit Address” that you copied from Binance in the Recipient field. Then enter the amount you want to send and press “Continue” button to send your Bitcoin to Binance. It may take 1-3 minutes for the transaction to appear on “Binance Transaction History”, and will be confirmed fully within 10 to 30 minutes. It is mentionable that Ripple and XRP are often used interchangeably but they are not the same. Ripple is a company which makes international payments more efficient. On the other hand, XRP is a cryptocurrency where they use for payments. Actually buying Ripple means buying XRP . 1. Go to Binance’s BTC-XRP exchange and click “Market” on the chart in the middle of the page. See this chart below. 2. Click “100%” which means all of the Bitcoin in your Binance account will convert into XRP (Ripple). You can view your newly purchased XRP on Funds > Deposits Withdrawals page on Binance. Similarly, you can buy Stellar Lumens (XLM) from this chart. Hi Richard, I’m afraid that you cannot fund directly with US Dollars yet. Your quickest method is through Coinbase. Buy ETH or BTC with US dollars and send it over to Binance. Hope this helps. Is a valid drivers license in NY State sufficient to open a Binance account? I was able to open a Coinbase account with it? I’m not sure as I havnt been on there for over a year, but it might be worth a cheeky look on the site. If I remember correctly, you can skip that stage and if you wanted to cash out, you could always sell to bitcoin and then send back to Coinbase. But, It’s been a while so not 100%. More than anything do not listen to anyone on the internet and always do your own research.